Identifying the package and label features that are most relevant for consumer might provide useful information for designing a food package that closely matches consumer needs and expectations. In the present work two groups of 100 milk dessert consumers were asked to elicit package and label features of milk desserts using word association and free listing. Both methodologies were useful, efficient and quick methods to determine package and label features most likely to influence consumer perception of milk desserts. 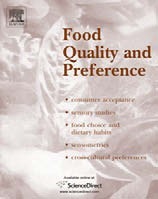 Although some differences were found between them, results related to the design of milk dessert packages were similar and suggested that brand, package shape, colour, and the design of the label might be the most relevant features that should be taken into account during package design of this food product. Cluster analysis of participants enabled the identification of groups of consumers that might be driven by different package features when making their purchase decisions of milk desserts. Ares, Gastón, “Identifying important package features of milk desserts using free listing and word association,” RIQUIM - Repositorio Institucional de la Facultad de Química - UdelaR, accessed April 20, 2019, http://riquim.fq.edu.uy/items/show/2075.